Here are the best credit cards for average credit. Even if your credit score is below 700, you can still take advantage of credit cards for fair credit that offer rewards and the opportunity to raise your credit score. One of the best perks of credit cards for fair credit is that you can choose a card that will enable you to monitor your credit score through a variety of provided tools, and some come with favorable terms and APRs. When used responsibly, a credit card can be an excellent tool for helping you grow your credit score. For help choosing the best credit cards for average credit, review GOBankingRates’ top picks. With so many options on the market, it’s easier than ever to find the right card to raise your credit score. Secured credit cards are a great option for people looking to increase their credit score. This card comes with several tools to help monitor your credit profile, and if you make your first five monthly payments on time you will get access to a higher line of credit. When it comes to cash back for credit cards for fair credit there are few and far between, but this Credit One card is one of them. There are 1 percent cash-back rewards for eligible purchases as well as automatic account reviews for opportunities to increase your credit line. 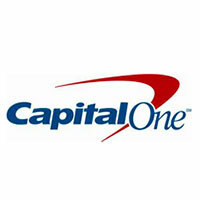 QuicksilverOne from Capital One provides the highest amount of cash back among all of the best credit cards for fair credit. 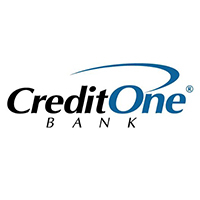 You earn unlimited 1.5 percent cash back on everyday purchases along with the opportunity for a higher line of credit if the first five monthly payments are all on time. This credit card is intended for consumers looking to rebuild credit. You will be issued an initial credit line of $200 if the minimum deposit is made and, after making your first five monthly payments on time, you can get access to a higher credit line. The Platinum Elite is a full-featured card that provides you a credit line based on a refundable security deposit and not on your credit score. It also provides you the opportunity to either rebuild or establish your credit history. The Indigo Platium MasterCard from Celtic Bank allows users the ability to manage their credit with the opportunity to build their credit in order to access a higher line of credit. This card gives customers the opportunity to earn 1 percent cash-back rewards, monthly access to their credit score for free and the opportunity to increase their line of credit, depending on automatic account reviews. This credit card provides users with fair credit the opportunity to build up their credit score. The pre-qualification process is simple and won’t impact your credit score, and the approval process is streamlined with an instant decision made once the application is filled out. The best credit card is the one that you use responsibly to build your credit. If you have a fair credit score, paying your credit card in full and on time every single month will result in an improved credit score. Paying in full will also save you money on interest and fees. It’s a win-win. 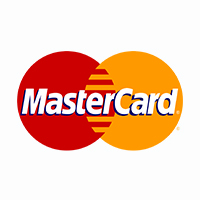 Click to see how many credit cards you should have. Methodology: GOBankingRates.com identified the best credit cards for fair credit by analyzing annual fees, APRs, rewards and features. All fees and rates are subject to change at the credit card issuers’ discretion. Some bonus offers might no longer be available on the credit card issuers’ websites, depending on how one accesses the web page.